ASTANA, June 9 (Xinhua) -- China condemns terrorist attacks in Tehran and firmly opposes all forms of terrorism, Foreign Minister Wang Yi said here on Thursday. The comment came after suicide bombers and gunmen attacked the Iranian parliament and Ayatollah Khomeini's mausoleum in Tehran on Wednesday,killing at least 17 people and wounding 52 others. During a meeting with his Iranian counterpart Mohammad Javad Zarif in the Kazakh capital of Astana, Wang extended his condolences over the attacks and urged the international community to enhance anti-terrorism cooperation. China appreciates Iran for being one of the first countries to support and participate in the China-proposed Belt and Road Initiative. China-Iran cooperation on the initiative will not only benefit the two countries' development but also contribute to regional peace, stability and prosperity, Wang said. 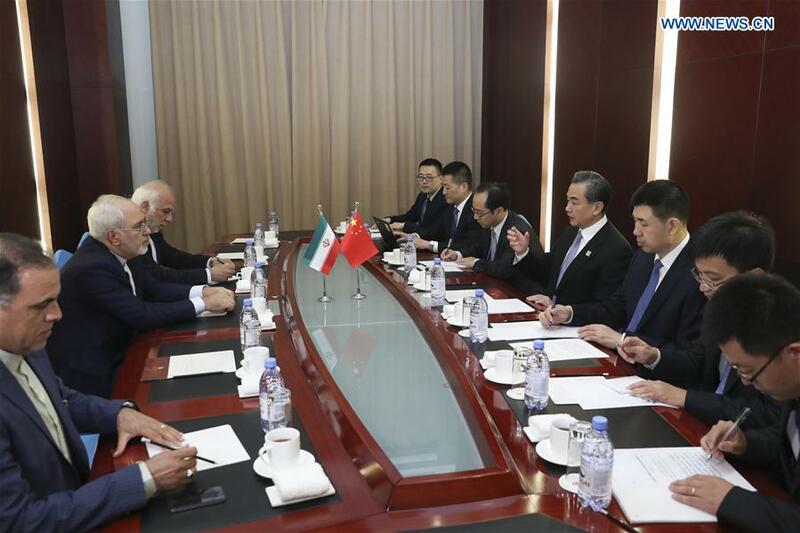 Zarif thanked China's support to the Iranian government and its people, saying Iran is satisfied with the current development of bilateral ties and that Iran is willing to have closer high-level exchanges and promote trade cooperation with China. Both sides exchanged views on the situation in the Gulf. Wang said peace and stability of the region is in the shared interests of regional members and the international community, and that China holds that relevant countries need to properly resolve their differences. Earlier this week, Saudi Arabia, Bahrain, the United Arab Emirates, Yemen, Egypt, Libya, Mauritania and the Maldives cut diplomatic ties with Qatar, accusing the Gulf state of supporting "terrorism and extremism," but Qatar rejected such accusations.